Scottish spirits could soon have the same protection as whisky under new proposals mooted by a newly launched trade body. 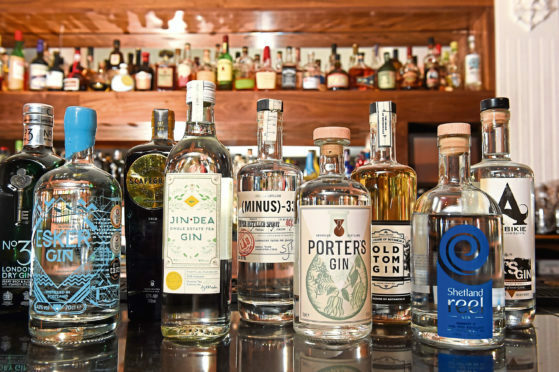 The Scottish Distillers Association has pledged a fresh set of objectives to promote the country’s position as a global centre of excellence in the creation of premium quality spirits. Included in the association’s plan is a campaign to recruit more Scottish-based distillers, but limit the membership to those who follow strict criteria and join its accreditation programme. The association claims this is designed to improve transparency in the production of Scottish spirits and aimed at assisting the consumer in making better informed buying decisions. Alan Wolstenholme, the chairman of the Scottish Distillers Association, said: “The distilling sector is going through an unprecedented boom which brings opportunity but also a responsibility to set some essential guidelines for spirit production. Any distiller in Scotland can apply to become accredited by the Scottish Distillers Association but only qualify by following a strict code of practice. This consists of five main commitments including new guidelines on the topic of place naming of Scottish spirits. Mr Wolstenholme added: “The place naming of Scottish spirits, particularly gin, has been debated at length among our members. “We are concerned about consumers being duped into buying a product named after a place in Scotland when in fact it has been made elsewhere. “This practice, which fortunately is still relatively rare in Scotland, needs to be prevented from escalating any further.